With performers doing the opening number from Hamilton tonight at the Grammys (see the first video below), I thought it would be a good time for me to compile this list. Though the songs are too fast for my English Language Learner students, they did enjoy the clip I showed, and I know that other history teachers throughout the country are using the musical very effectively. I’m hoping to see the show when it comes to San Francisco next year! ‘HAMILTON,’ THE BIGGEST THING ON BROADWAY, IS BEING TAUGHT IN CLASSROOMS ALL OVER is from Newsweek. At the top of this post, I explained that though the lyrics are generally sung too fast for my English Language Learners to understand them, they enjoy the videos, nevertheless, and it can be combined with a cloze or Read Aloud about Alexander Hamilton. Well, now NBC News and Telemundo have published two online Spanish-language videos about Hamilton’s creator that could be used as an excellent introduction for Spanish-speaking ELL students. The second one doesn’t allow embedding, but you can see it here and/or here. A hip-hop musical about Alexander Hamilton is Broadway’s hottest ticket. Here’s why. is from Vox. ‘Hamilton’ Takes a Road Trip to the White House is from The New York Times. Read Obama’s moving introduction to the Hamilton White House performance is from Vox. How Teachers Are Using ‘Hamilton’ the Musical in the Classroom is from Mindshift. Hamilton May Stay on the $10 Bill, Thanks to Help From Broadway is from The NY Times. What I Hope Students (and Education Policymakers) will see in Hamilton is by Ed Secretary John King. A Hamilton Skeptic on Why the Show Isn’t As Revolutionary As It Seems is from Slate. ‘Hamilton’ Tickets for Students and Wisdom From Its Creator is from The Wall Street Journal. Forget Hamilton, Burr Is the Real Hero is from TIME. Broadway’s ‘Hamilton’ Makes Its Way Into NYC’s High School Curriculum is from NPR. 12 things we learned from the “Hamiltome,” the new book about the revolutionary musical is from Vox. How Lin-Manuel Miranda taught liberals to love Alexander Hamilton is from Vox. Why ‘Hamilton’ Has Heat is from The NY Times. Hamilton Wins 2016 Pulitzer Prize is from PlayBill. Why Fans of Hamilton Should Be Delighted It’s Finally Stirring Criticism is from Slate. Success of ‘Hamilton’ May Have Saved Hamilton on the $10 Bill is from The NY Times. ‘Hamilton’ Musical Will Make Appearances in N.Y.C. Classrooms is from Ed Week. ‘Hamilton’ Brings the Show to New York Public School Students is from NBC News. For $10, New York City Students See ‘Hamilton’ and Rap for Lin-Manuel Miranda is from The NY Times. ‘Hamilton’ and History: Are They in Sync? is from The NY Times. 100,000 Students Across The U.S. Will Probably See ‘Hamilton’ Before You Do is from The Huffington Post. ‘Hamilton’: A Story Of US is from NPR. 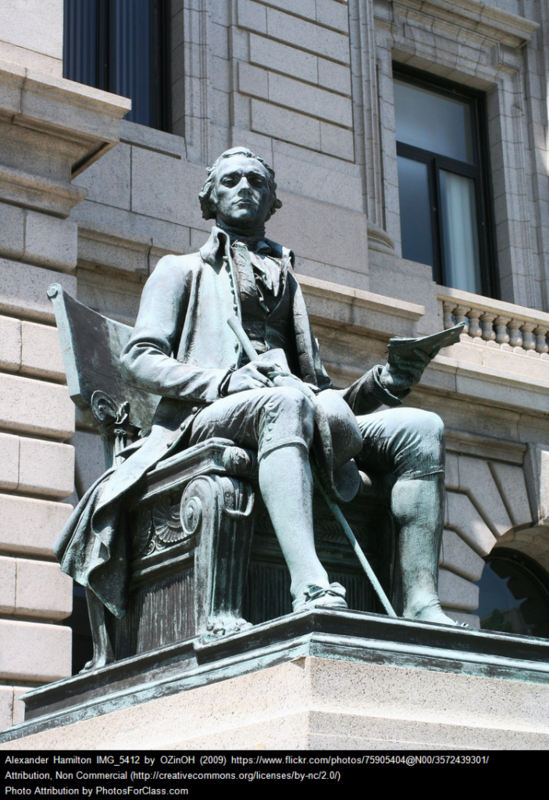 The Gilder Lehrman Institute has a ton of teaching resources on Alexander Hamilton. Their interactive features are best (scroll to the bottom of this page). You can only access them, however, if you register with a school email address. THE TOP TEN BOOKS FOR HAMILNERDS BY SARAH GROSS, DONALYN MILLER, AND MELISSA POSTEN is from The Nerdy Book Club. THE HIGH SCHOOL TEACHER WHO INTRODUCED LIN-MANUEL MIRANDA TO ALEXANDER HAMILTON is from Newsweek. The inside story of how the biggest show on Broadway teamed with two nonprofits to immerse high school students in American history—and challenge them to create their own performances. is from Scholastic. “Hamilton” actresses on how Broadway show empowers is from CBS News. What ‘Hamilton’ Forgets About Hamilton is from The New York Times, and provides and important perspective. Video: Tonight’s Full PBS Show On The Hamilton Musical (Plus Lots of Extras)! Hamilton Goes to High School is from Education Next. ‘Hamilton’ curriculum brings U.S. history to life for high school students is from Ed Source. ‘Hamilton’ Hip-Hop, by Students is a NY Times interactive showing-off Hamilton-inspired raps by students. The neat twist is that they are shown as a multiple-choice cloze, so you have to choose which words fit. The Issue on the Table: Is “Hamilton” Good For History? is from Smithsonian Magazine. AUDIO: NEW HAMILTON SONG – WITH BARACK OBAMA! Which “Hamilton” Character Are You? from BuzzFeed could be a fun quiz for students. In “The Haunting of Lin-Manuel Miranda,” Ishmael Reed Revives an Old Debate is from The New Yorker.